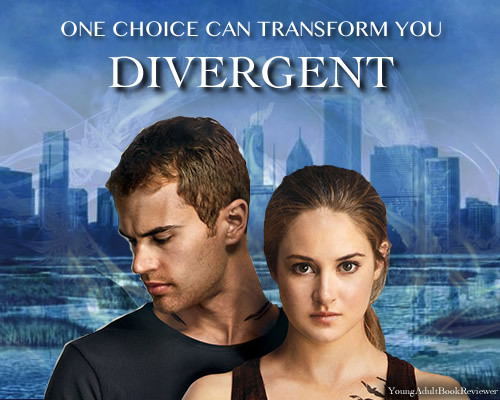 Last week Divergent trilogy author Veronica Roth announced that she’d be writing four short stories about Four. Today, she has shed a little more light on what the stories will be about and their titles. Roth confirmed that the titles for each of the four Four books are (in the order of release): The Transfer, The Initiate, The Son, and The Traitor. They will be released on September 24, December 17, January 21, and February 11 respectively. “These stories mostly address Tobias’s backstory and some mysterious things happening in his world before Tris joins Dauntless. There will be some overlap with Divergent’s timeline, though,” Roth wrote on her official Tumblr. The author also confirmed that the stories will be initially released in eBook format, but in February they will hit book store shelves in one compilation and attached with Free Four. Free Four is the first short story released as an eBook. It was published last year. The story follows Four as he watches Tris in the knife throwing scene. Fans adored the short story because it offer perspective into what Four was thinking as his love interest was experiencing an intense moment to prove herself as a member of Dauntless. While everyone’s looking forward to these new stories starring Four, we first are waiting for Allegiant, the third and final book in Roth’s Divergent trilogy, which hits book store shelves this October. Theo James stars as Four in the Divergent movie which is currently filming in Chicago and will be out in theatres 21 March 2014! Posted on June 26, 2013, in Book News and tagged abnegation, allegiant, books, dauntless, divergent, four, free four, insurgent, literature, reading, shailene woodley, short stories, short story, the initiate, the son, the traitor, the transfer, theo james, veronica roth. Bookmark the permalink. Leave a comment.